Transporting permanent service 24 hours a Juan Santamaria International Airport to Hotel Villa Pacande. Our hotel offers shuttle services at any time from the international airport Juan Santamariaen. It is very important that when we ask flight schedules indicate that we can plan more accurately logistics. 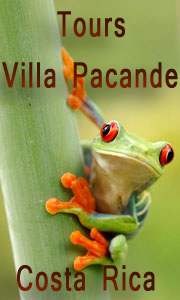 Rates: Airport - Villa Pacande USD $ 15. Book your transport in advance from here to get to the Hotel Villa Pacande Bed & Breakfast. Fill in the details and we will send you the confrimacion.